A new wave of disorders has befallen our Church. Two of the Bishops have declared that they are departing from obedience to the First Hierarch, the Synod of Bishops and the Council of Bishops - that is, from the conciliar life of our Church. They declare that they are speaking out for conciliarity (sobornost), and allege that there is no conciliarity (sobornost) in our Church. Meanwhile, they do not cite even one actual fact of violation or distortion of the conciliar order of our Church, inasmuch as the very existence of the God-established ecclesiastical order, the very fact that the Hierarchal Synods and Councils issue decrees and enactments, in their understanding constitutes a violation of conciliarity. Thus, they themselves strive for an imaginary “conciliarity” by unconciliar methods: by ignoring the opinion of other hierarchs and the opinion of their own flock, by pushing aside those who displease them and by uncanonically convening diocesan meetings (without elections of representatives from parishes at parish meetings), at which declarations are adopted ostensibly in the name of the whole diocese. Along with all this they organise a boycot of the plea of the First Hierarch and the Secretary of the Synod to meet and discuss the prevailing situation. By his declaration of non-subordination to the Hierarchal Council and the Synod, contrary to the agreement reached in the presence of representatives of the TOC [True Orthodox Church] of Greece, and likewise by his announcement concerning the convening of an unauthorized assembly (under the name of an “All-Diaspora Council”), Archbishop Andronik, together with those not desiring to be subordinate to the ecclesiastical canons and the traditions of the Russian Church Abroad, has in fact, according to the definition of st. Basil the Great, announced the creation of a parasynagogue under his leadership. * According to the instructions of the Holy Fathers, an unauthorized assembly, standing a step away from schism, is just the same as a schism, a falling away from the Church and her saving grace. Moreover, a parasynagogue cannot convene an All-Diaspora Council since, in accordance with Paragraph 12 of the Regulations of the ROCA, “In case of special need, the First Hierarch, together with the Hierarchal Synod, may convene an All-Diaspora Church Council, consisting of bishops and representatives of the clergy and laity. The enactments of such All-Diaspora Councils take legal effect and are carried out only upon their ratification by the Council of Bishops under the presidency of the First Hierarch of the Russian Orthodox Church Abroad, which takes place at the same time or immediately after the conclusion of the All-Diaspora Church Council.” By no other way may an All-Diaspora Council be convened and its decisions take effect. The question remains open as to what exactly is guiding the new schismatics: the realization of their lust for power by any means, or only the coercion of other hierarchs with the aim of obtaining their agreement for the formation of a new “schism” under their leadership? Most likely both – whichever succeeds. There is no doubt that the work of destroying the Russian Church Abroad continues without interruption for even a minute. This work began at the moment of Her foundation in 1920, the main stages of which were the Platonite (1926), Eulogian (1927) and Sergian (2007) schisms, as well as a multitude of petty – if one may speak thus – individual schisms. That which is occurring today before our eyes is, without a doubt, the ongoing warfare of the devil with the Church of Christ. Therefore, I would like for the clergy and parishioners whom they are now attempting by falsehood to lead into schism, to hear me. Stop! 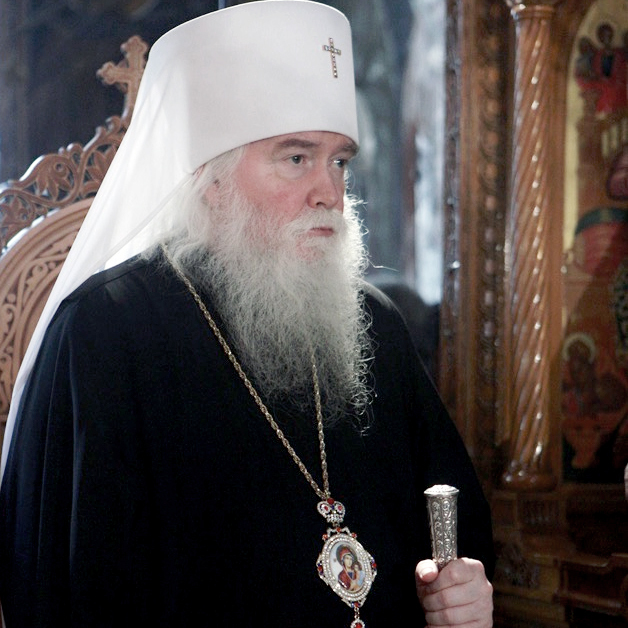 Do not participate in a schism of the Russian Church! Our confession and the faithfulness of each one of us to Christ now consists exactly in this. If you do not see heresy – then do not follow the schismatics who are drawing your souls away into perdition! My duty, as First Hierarch, is to warn the flock of danger. “Who hath ears to hear, let him hear” (Matthew 13:43). * A parasynagogue (Greek, παρασυναγωγή – an unauthorized assembly) is a form of deviation from Orthodoxy, differing from schism and heresy in that it does not touch on matters of doctrine, but is the result of a violation of ecclesiastical and hierarchal discipline – disobedience to the God-established hierarchy. “The ancients…called unauthorized assemblies those meetings consisting of insubordinate presbyters or bishops and uneducated laity. For example, someone who, having been accused of a sin and having been removed from the sacred ministry, did not submit to the canons, but himself held on to his position and the sacred ministry, and certain others who deviated with him” (First Canonical Epistle of St. Basil the Great to Amphilochius of Iconium).